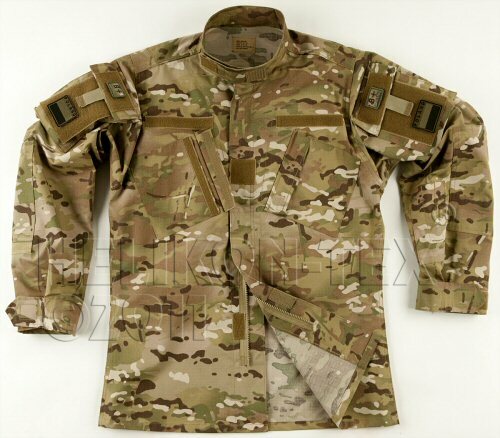 The Helikon Camogrom ACU shirts are made in multi terrain camo.The cut is ACU, incorporating large expanding upper back and shoulder gussets, slanted chest pockets, closed with velcro, large upper arm pockets with velcro patches for insignia, pen pocket, mandarin collar for wear with body armour and velcro adjustable cuffs. The elbows are reinforced and can be opened to accept padding. 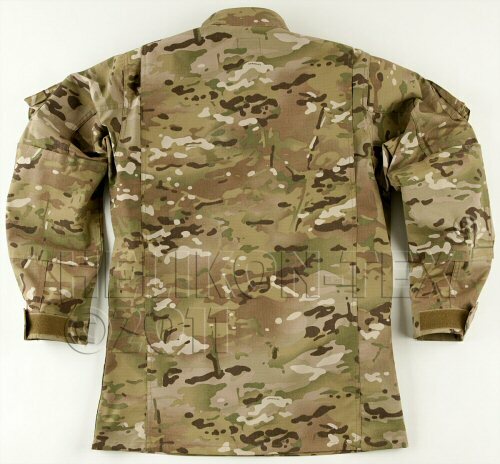 Velcro is also provided on chest for name tapes and on the front of the shirt for rank insignia. The shirt opens with a double zipper and this opening is covered with a velcro down baffle to reduce cold and draughts. Made to match with the ACU camogrom trousers. All details of the issue ACU shirts are included. Made of hard wearing Nylon Cotton Twill. Superb quality kit again from Helikon, fit and finish of the garment is great. Very good quality at a very good price. Service is 5* as usual, thanks Jo. - Submitted by S Fraser.